Of all the President Trump-haters in all of Godless Hollywood, there is one name that probably topped the list of 2018 liberal elitist hecklers. 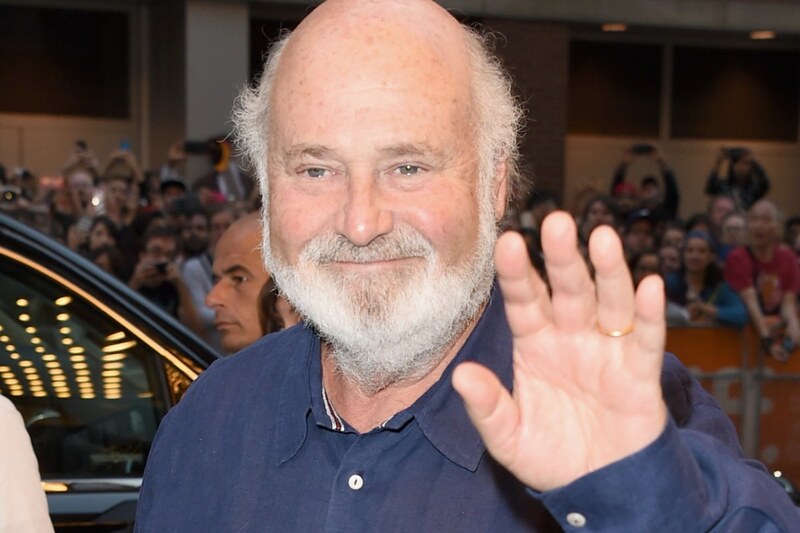 That name is Rob Reiner who used to be an esteemed film director responsible for some great films but that was back in the 1980’s. Now his film career is about as pathetic and irrelevant as Cher’s current pop star icon status. It’s non-existent. He’s established himself as the king of outlandish, spewing hyperbolic rhetoric about Trump and what he just said about him and Nancy Pelosi proves that he’s off his rocker. Liberals and Democrats are lost in a dark cave without a flashlight. They are so desperate to fight Trump over the desperately needed border wall that they will do anythingto achieve it, including shutting down the government over it. Trump has been patiently waiting for Democrats to get back to Washington D.C. so he can make a deal and open the government back up for business. And where’s Nancy Pelosi? She’s been on vacation in Hawaii. Yet, somehow liberals actually believe that she somehow cares about the well being of our country. Juxtapose where Trump is at versus what she’s doing. Enough said. But delusional Hollywood elitists like Rob Reiner see it differently and he actually said that Pelosi will “clean Donald Trump’s clock,” over the wall deal. This is a common occurrence with him. The first line is hilarious if you take it out of context too. He calls one a “horrendous deal maker” and the other was someone with “world class skills.” The delusion is thick with this comment. One of them literally wrote the book on negotiation called Art of the Deal and the other had a self-righteous meltdown in the Oval Office before the government shutdown occurred. Reiner seems confused by what had actually happened in that meeting with the biggest irony being that both Pelosi and Sen. Chuck Schumer were absolutely shell-shocked by the presence of the media in the room to negotiate it. That’s a good tactic to take and the reason why was when Trump said it best, it was all about “transparency.” Pelosi and Schumer wanted to have it behind closed doors and Schumer kept smirking back towards the cameras like his public relations people told him to be more likable. It was gross. But it’s funny that people like Reiner and the rest of his Hollywood cronies saw two completely different videos, which made the Democratic Party’s leaders look like obstructionist fools who marched out of the White House like they were some sort of savants. Trump is the duly elected leader of this country and one of his biggest campaign promises was to build a wall. That means that a majority of this country wants a wall just like he does. Pelosi knows this because she’s being a contrarian for contrarian sake. It’s a con job to make Trump look like he can’t deliver on his promises. Somehow, Hollywood anti-Trump celebrities are worshipped like Gods in the social media universe by loyal liberal zombies who only want to hop on the bandwagon because it’s the cool thing to do at the time. Reiner bloviates for relevancy because his career has diminished in recent years. It really is that simple.